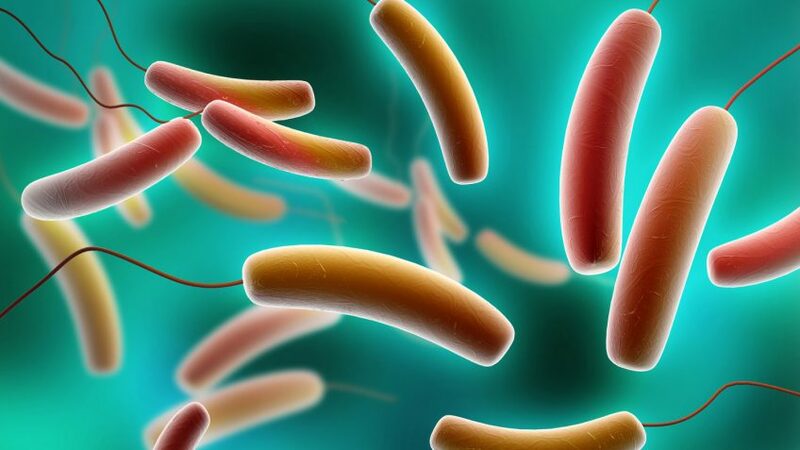 Antimicrobial resistance development in bacteria — like E. coli, (pictured above), can have devastating effects on human health. Treating large farm animals on and off campus takes up most of Derek Foster’s week. 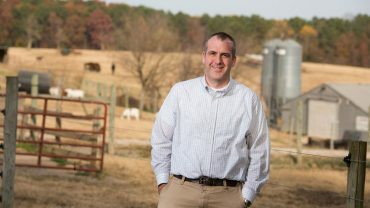 But the assistant professor of ruminant health management at the NC State College of Veterinary Medicine also researches the most effective drug therapies for animals so important to the state’s agriculture economy. Foster’s heavily collaborative research centers on antibiotic use in food animals with two big goals: understanding how to maximize the effectiveness of drugs veterinarians commonly use and taking a closer look at the development of antimicrobial resistance in bacteria that could also impact humans. 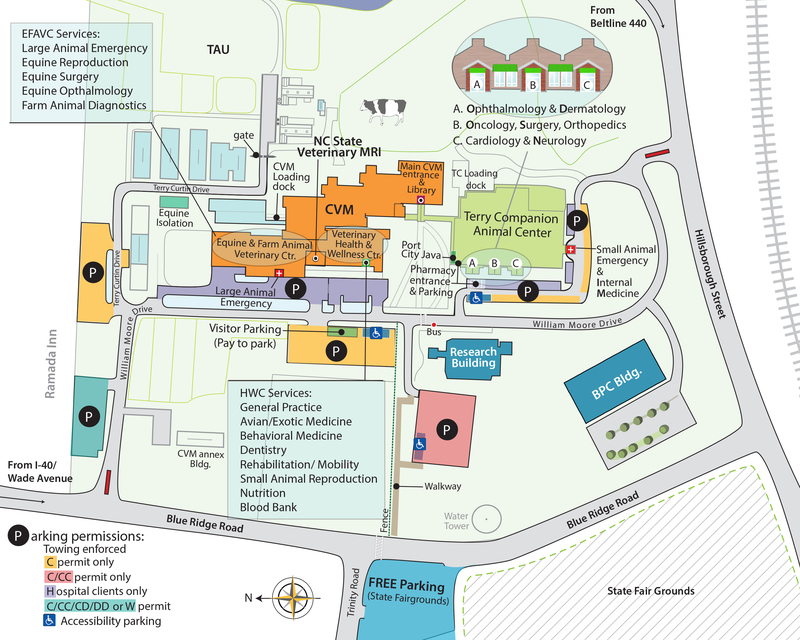 Foster, who holds a degree in animal science from NC State and earned a doctorate of veterinary medicine from the CVM in 2004, has made such research a priority since joining the faculty of his alma mater. He has worked with Mark Papich, professor of clinical pharmacology, to find ways to measure drug concentrations directly at the site of infections. Accurate measurements of how much antibiotic is getting into bacteria-infested airways is particularly important when treating common infections that lead to conditions such as pneumonia. Foster has also teamed with Papich, Timo Prange, clinical assistant professor of equine surgery and Megan Jacob, microbiologist and director of the CVM’s diagnostic laboratories, in researching antimicrobial resistance development in bacteria — especially Salmonella and E. coli, which sometimes have devastating effects on human health. The group worked together to find ways to measure drugs in the gastrointestinal tracts of cattle. Prange helped Foster, Papich and Jacob develop a surgical technique that implants a sampling device into the GI tract of cattle in order to continuously measure how much drug is present up to two weeks after dosing. The research team has grown to include recent CVM hires in the areas of infectious disease and microbiomes research, CVM faculty members Cristina Lanzas, Casey Theriot and Benjamin Callahan, who have “dramatically” expanded the team’s broad picture of the function of antimicrobial resistance in large populations of animals. Another addition to the team: Sophia Kathariou, an expert in food borne bacterial pathogens in the food science and microbiology department at NC State’s College of Agriculture and Life Sciences. All told, the research group ranges from new faculty to full professors, representing three different departments and two colleges, said Foster. Responsible drug practices antimicrobial resistance research is a CVM priority. The CVM includes faculty considered experts on such matters who shape the international conversation on approaches on drug use and antimicrobial resistance, said Foster. A part of the national Food Animal Drug Residue Avoidance Databank (FARAD), a research group working to prevent drug residue in food animals, is housed on campus. In October a multi-day meeting of the World Health Organization’s advisory group on antimicrobial resistance was held on campus. And in January, Foster was instrumental in bringing a Food Armor Foundation outreach specialist to campus to train students on a new and innovative plan for responsible drug use with farm animals. Continued research is needed as the rate of antimicrobial resistance development in both human and veterinary medicine has increased to a point where some bacteria have been difficult to treat, said Foster, who noted that proposed solutions to antibiotic resistance mostly feature broad bans on how animals are treated with these drugs. These restrictions have significant downsides in that they may prevent rapid and effective treatment in ill animals and ultimately be counterproductive. Foster’s overarching research interest is balancing how to be selective with drugs to lessen risks to public health while not altering veterinarians’ ability to effectively treat animals.